You know when you follow someone on Instagram that you are equal parts inspired by and jealous of? For me, that is Becca Jane Koehler of @beccajanestudio. 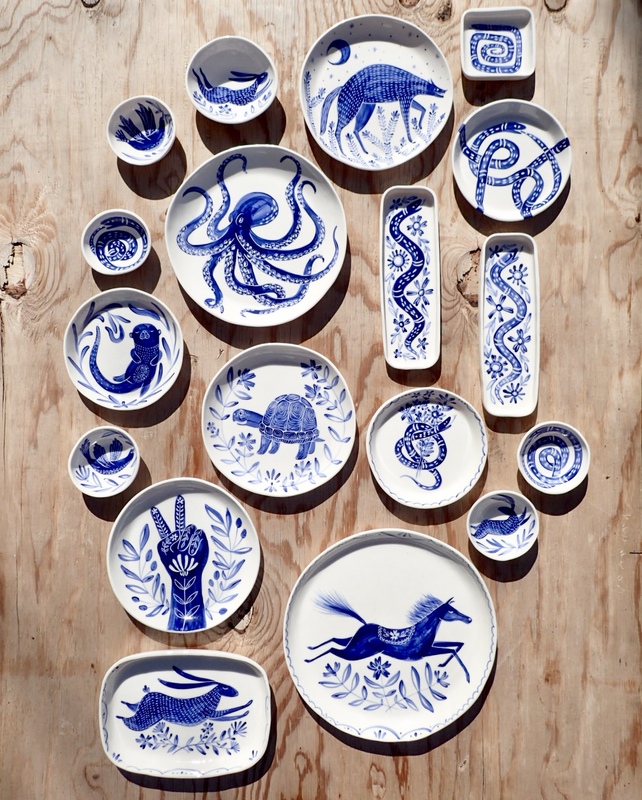 I’m not an aspiring ceramicist, so I’m not sure why I’m jealous, except that her grid of sun-drenched shots of playfully painted Delft Blue and white porcelain makes me long for a strong signature style and medium. The photos of her pieces en masse are my favorite, stacks and stacks of snake entwined mugs, flat-lay collections of plates with rabbit, snake, eye and floral motifs in her signature blue, unexpected red or muted black. I had the privilege of reaching out to Becca with all my amassed questions on her inspiration, staying motivated and finding her way.